We appreciate your feedback about your support experience with Sensei, developers of Sensei Certificates. This helps us maintain high standards on the WooMarketplace, and helps Sensei improve. If you’d like to make certificates public for all to view, that’s available as well. 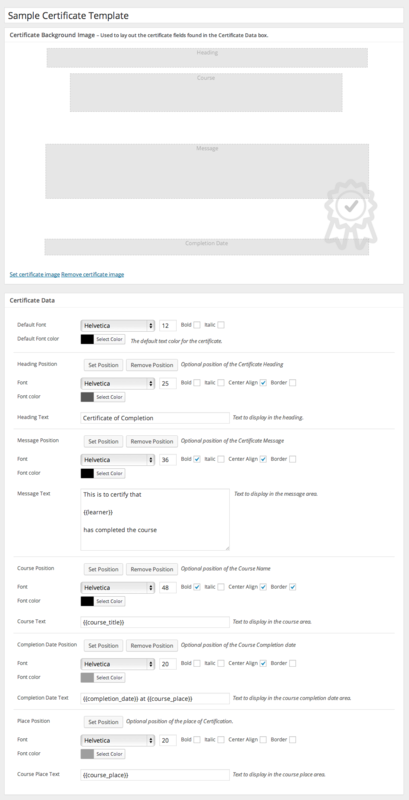 Sensei Certificates includes an advanced certificate design system. Through this system, you can upload your own background image, place and style the size, typeface and colour of the various pieces of text on the certificate and truly create a unique design best suited to your online school. 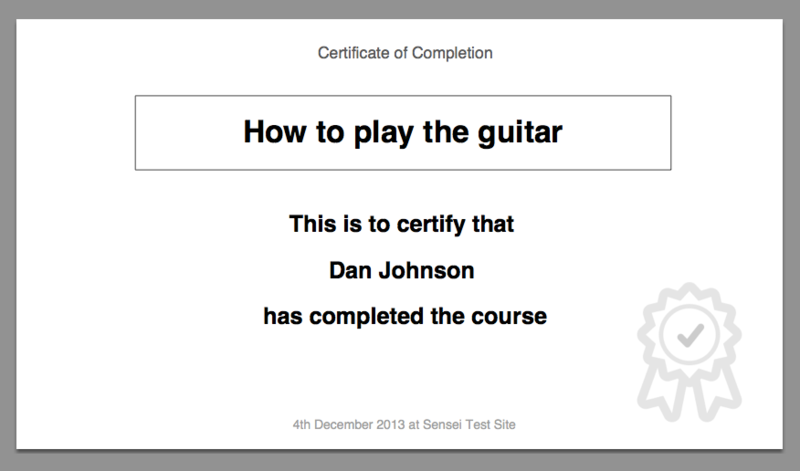 Customise the design of your Sensei certificates. 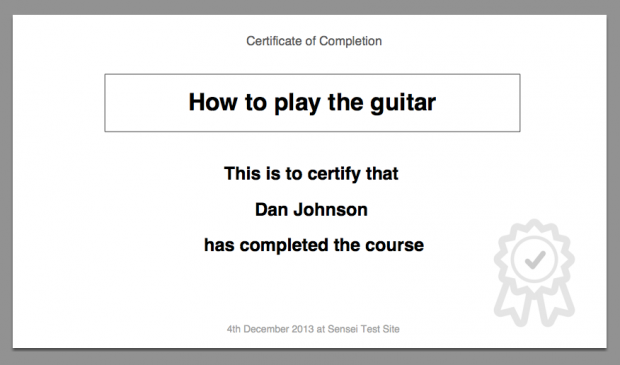 If you don’t fancy yourself as a designer, or would prefer to get up and running in not much time, Sensei Certificates includes a stylish default certificate design, suited to any genre of online school. We already have many students who have completed courses! Can they get certificates as well? They certainly can! When activating Sensei Certificates, you will be prompted to generate certificates for each student who has already completed a course. Thankfully, this can be done, for all students, with the click of a button. We all enjoy receiving rewards. If your students complete a single course, and receive their certificate for the hard work they’ve done, they will be statistically more likely to continue on to a further course, in order to re-live the rewarding experience of receiving a certificate for their efforts. We look forward to seeing your students light up with excitement when they receive their certificates for all the hard work they’ve done in completing your courses.